I remember Karni Mata Temple from an episode of Maano ya na Maano hosted by Irfan Khan. He talked about this place and the legend associated with it. It was very creepy to see mice running around the temple premises and devotees feeding them with so much love. 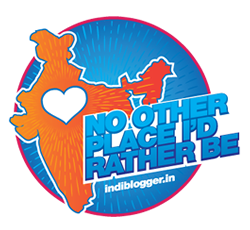 Later with Buzzfeedization of Indian media this place turned into an offbeat destination every Indian must visit. Karni Mata is the mother goddess of Rajasthan. You’ll find her temple in every city. I have been to Karni Mata temple in Udaipur. In Bikaner, the temple is located in Deshnoke. If you are traveling from Delhi by train then the station will arrive before Bikaner, usually trains don’t stop here but I was lucky and I was spared from the pain of visiting traveling to Bikaner and returning here again. The premises make you believe that there is nothing inside. You walk inside wondering if the legends are true. There have been the first devotees of the temple, any prassad is not given to the human devotees before these mice taste them first. The temple is filled with mice. Running around while the devotees walk around without any disgust. EVEN WOMEN, who would rather jump over the bed instead of feeding them here. Who would have thought that closeup shot of a mouse will excite me so much. A visit to this temple bring your beliefs and the devotion of the people at a close encounter. When I left the topic kept running in my mind before I gave up thinking about it. . Visiting this temple is an experience I would recommend that everyone must have. Bikaner is still not that huge on tourist map despite there is so much to explore. So before the tourists arrive here, go explore as much as you can.